eli_oat ya'll have a great time at the summit! strugee is anyone at the presummit meetup? does it seem like it'll still be going then? [jgmac1106] [chrisaldrich] you on train yet? donpdonp is the source for the webmention part of 2018.indieweb.org online somewhere? [mrkrndvs] #NOTatIndieWebSummit wondering though if there is a guide for those wanting to follow along who aren't there? [Vanessa] That would be a great thing to have. Zegnat The plan is to stream on YouTube. So the opening keynotes should definitely be available. Zegnat During introductions people who are remote get to introduce themselves via chat. Zegnat There will also be hangouts for 2 way communication. Zegnat At least those are the plans. Links will be announced when they go up. [Vanessa] Cool. I'll try to watch some of it, but there's quite a time difference - think I'm 8 hours ahead. I know when I was recording with Jean on Saturday (yes, I was on my first ever podcast) it was morning in Portland and dinner-time here. [Vanessa] I'll be working, I'm afraid, and when work finishes I'm out tomorrow evening. I can watch a stream and work (just about), but anything more will be too distracting - I'm right up against it at the day job at the moment. Hoping I can catch up with some bits in the evening. [jgmac1106] [Vanessa], cool. I am going to work with @mrkndvs to come up with some asynchronous post activities. donpdonp Zegnat: i did not see. thx for the pointer! [sdepolo] Morning Indieweb from San Francisco. I couldn’t make it to camp in person but did send my friend Noah Plumb from GoDaddy. donpdonp aaronpk is at the podium. donpdonp whats the livestream url? [Vanessa] Grr, no audio. I don’t want to join audio, do I, but it’s not letting me listen either. jalcine is there a hashtag we wanna use? [Vanessa] Ahh - thanks. Far too complicated at the end of a long working day! [Vanessa] Be nice if we could see people talking rather than just the room. Hoping the YouTube comes on line soon, reckon that will be much easier. [Vanessa] Nonsense [jgmac1106] you know absolutely loads compared to me! j12t Almost all seats taken in the room. [Vanessa] Reckon I’ll hop off to YouTube - not sure my puny broadband can cope with both! chrisaldrich Hello folks in the chat! schmarty any remote folks who would like to be mentioned during introductions, we'll be doing a presentation-by-proxy. let us know 1) Your name 2) Your personal website URL 3) Any particular page or feature on your site you'd like to demo and a sentence or two about it. schmarty zegnat++ perfect, thank you! [Vanessa] Good grief @zegnat that's some h-card! Zegnat That page has much more about what we are about. donpdonp live captioning for the win. GWG This year, he'd like to, now that we worked on the principles of owning our data, 'Express Yourself'. [cleverdevil] Except GWG's way, which is the wrong way. [cleverdevil] I kid, I kid. GWG tantek has moved on to POSSE...which allows us to copy/syndicate our posts to silos, which has been a problem due algorithms and API shutdowns. strugee tantek__: "however many feeds you want to put out there, it's up to you"
[Vanessa] Yes, agree, summary is fab. Thank you. GWG tantek has moved into readers, which is the work that has been done on this. GWG "Make a better tomorrow for yourself and others." GWG Austin, Virtual EU, etc. [Vanessa] Ooh, I like the idea of having a reader - adds it to the list. GWG Homebrew Website Club....start one today! 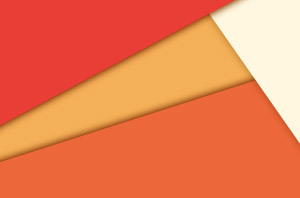 GWG Next Indiewebcamps are Nuremberg in October, Berlin in November. GWG tantek is covering that the principles are being reviewed to be more inclusive. Zegnat adactio (Jeremy Keith) runs Brighton on and off depending on people being in town (and him being in town). Definitely reach out [Vanessa]! GWG Bridgy added Github support this year, which is ___ awesome. GWG Built a service, a plugin, and documentation. GWG Facebook has left the open web behind, and Bridgy is dropping support. GWG If a post is POSSEd in the forest and no one hears, does it get a like? [Vanessa] Lol - the rest of us are just grateful! Zegnat swentel built an entire Drupal infrastructure for indieweb by himself, so gets a big shoutout! chrisaldrich yes, if you're live in the video, I think there's audio set up so we can hear you if you don't have your microphone muted. [eddie] No worries jalcine, Keep it up! GWG Three things....UX, Content Ownership, Community. GWG It's not just what the first version is, but what we think it is. GWG Micro.blog seeks to reach Generation 4...the 'People using Social Networks"
GWG A lot of the iterations of microblogging on Twitter came from third party developers and we need to do this with the Indieweb. GWG People just want them, not an instance with other people. GWG How do we get more people to care about this? GWG People have joined micro.blog because they are frustrated with Twitter. GWG "Owning your content isn't about portable software, it's about portable URLs and data." jgmac1106 anyone have contact info or a url for Jean? [Vanessa] Jean@micro.blog is her email. [Vanessa] That's me. I was this week's guest! [schmarty] kevinmarks: macgenie surfaces question posts on micro.blog via the Discover feature so other users see it. sounds like a tummeling feature! [cleverdevil] Love to hear Jean and Manton really pushing on the Generation 4 talking points. I didn't think we'd get here this fast, but here we are! [Vanessa] Sorry, I'm watching YouTube and eating dinner, so a bit behind the stream and the chat! Really enjoying this though. GWG Round of chat applause please? GWG aaronpk will be using the term "Social Readers"
Zegnat “grant is a great react programmer, but he is only one guy”. clearly [grant.codes] needs to up his game and be more people! chrisaldrich What is Kill Process? chrisaldrich Who is William Hertling? GWG Main character is a data analyst who was abused, and uses her access to social network data to hunt down abusers and kill them. GWG The difference is his 'Tapestry' system is more feature complete. chrisaldrich jgmac1106, it's being recorded, so we'll ahve it for later. chrisaldrich Hertling: We desperately need to break the world free of the corporate web. GWG We need to move out of our comfort zone. Zegnat any remote folks who would like to be mentioned during introductions, we'll be doing a presentation-by-proxy. let us know 1) Your name 2) Your personal website URL 3) Any particular page or feature on your site you'd like to demo and a sentence or two about it. Zegnat Ping [schmarty] with your answers! jgmac1106 [zegnat] or any other remote attendee have a session they want me to propsoe for them? Zegnat Awesome! But you atleast still have cables bringing internet to your home, right? [schmarty] zegnat++ for reminding remote folks about intro details! jgmac1106 Is there anything you want me to put on the board for you? Zegnat gRegorLove, you handling the intros scribes? [Vanessa] I can't think of anything really, I'm afraid. Sorry. [schmarty] [Vanessa] would you like a remote lighting intro/demo? we'll be reading them out. need your name, domain, and an optional cool feature you want to demo on your website described in a sentence or two. gRegorLove Zegnat, Can you? I'll try to catch anything that's missed. Zegnat [Vanessa]++ good catch, that copy was added this morning! [Vanessa] [schmarty] If you think people will be interested. My site is blog.vanessahamshere.uk (my name) which feeds to Micro.blog and I use it for short status updates. Webmentions are working and Micro.blog replies go there. Not sure what I want to do next - I've gone from practically nothing to this in the last 3 months... Good to show what a n00b can do. GWG chrisaldrich: Creating a post kind and not me? Zegnat Experimenting with different types of posts. Link posts feature an excerpt of the thing linked. Zegnat Is sharing a dongle save? Zegnat Hasn’t done userinterface changes in the last year. Zegnat gRegorLove, are you getting these URLs? Zegnat But came up to create diversity: more short people! Zegnat Including a checkin at the Great Wall of China: with photo of course. Zegnat Please move to mic! Zegnat Does a lot of documentation. Documentation internal to a project that then becomes external documentation. tantek___ Michael Toomim - just made this site this morning! Zegnat Lets you have “email” that is also a blog. Zegnat If I chant into the forest, does Bridgy backfeed it? chrisaldrich It's a project he launched last year at IWS. Zegnat What is Indie Map? tonz thank you all for presenting and for the live stream. pleasure to watch. Zegnat Shows the million webmention mark once again, wow! chrisaldrich This last year Jack built Yarns. [cleverdevil] WordPress based Microsub server would be epic. chrisaldrich Lately Marty imbedded all of his goodreads data into his website. [cleverdevil] Nice horizontal scrolling view at the top of eddie's page. tantek___ Nice set of remote demos by schmarty ! [eddie] schmarty++ for representing us remote people! Zegnat ... and of the IndieWeb in general! Zegnat Big yeey from the room! GWG gRegorLove: What do you think the G stands for? Zegnat Works with an open-source project called ... perkeep? chrisaldrich That's the end of demos. chrisaldrich NExt up is the group photo followed by lunch. Zegnat Hmmmm, can I insert myself into the group photo somehow? Zegnat I am now on a 45 minute timer. Will be reachable *at least* after 45 minutes from now again. Have a good lunch all! frankmeeuwsen And when the lunch starts at IWC, the Pearl Jam in Rome starts for me to follow on Twitter. Nice timing! Zegnat It is super likely that I will be in Nürnberg. And I think sebsel (my fellow NL HWC organiser) might be there too. Zegnat So that’ll be interesting! donpdonp i was throwing class="author p-author xyz-author wtf-author" around with abandon. Zegnat Hmm. Seems I need to start poking some people to stay on schedule! Zegnat Lunch break is over. Work is currently underway to hook the event back up to the internet. Looking like we will have a Google Hangouts session for every room, so remotes can access their favourite sessions! Zegnat Shoutout to GWG for introducing me to the table in the Blue room! Zegnat Chris wants to do a session on indieweb related tools for use in classrooms/schools by students/teachers. How can they better own their data and interact with the web. #EdTech. jalcine is the stream being blocked? KartikPrabhu nothing in the session grid yet! KartikPrabhu where be the schedule? donpdonp ug. terrible time for microformats.org to be down. donpdonp does anyone know the person(s) responsible for that site? Zegnat Co-founded a digital arts non-profit, made some blog posts on the topic. Zegnat sunshine room. Sure. Go add rooms. Zegnat Something can be ditched because something. Zegnat That’s a good reason, jgmac1106! [schmarty] vouch session almost made it but it would have been in the sunshine room aka outside. Zegnat Sign me up for hack session on Vouch tomorrow! Zegnat We are done with the schedule! [cleverdevil] Heyyyyy look at that guy. donpdonp trying to grok the construction of h-entry and h-card is ... wow. bear sorry to ask if already know - is the room / zoom combination known? 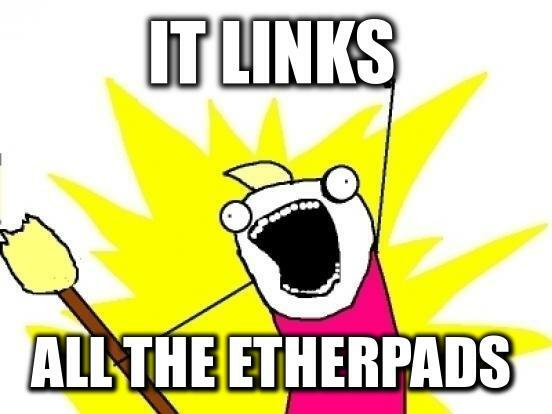 Zegnat It links all the etherpads!